Their Good Name is Our Good Name. 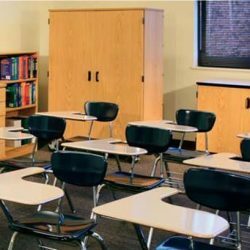 Corilam Fabricating Co., Inc. is a North Carolina Small Business Furniture and Contract Manufacturer. Corilam is a leader in the Educational and HealthCare markets with a history of excellence since 1975. Our 40+ years of experience ensures you receive quality products from our extensive standard lines, and those with personalized specifications tailored to your specific projects. CFC Educational is dedicated to staying at the forefront of manufacturing technology. Exceptional quality and service demand the latest in equipment and technology and we constantly update both. Integrated computer design and production allows us to meet your most demanding requirements. 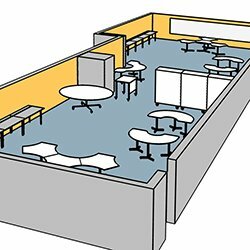 CFC utilizes "Glue & Dowel" whenever possible over Dry Fit mechanical construction. The bond that glue and wood provide is permanent and superior when compared to "metal to metal" connections. all products have a full 3/4" finished back. CFC utilizes a specialized, high grade, moisture resistant, curing Hot Melt adhesive to apply all PVC edge banding. This system provides the strongest bond available on the market today, along with no VOC's. CFC utilizes the Grass-Zargen steel drawer system. 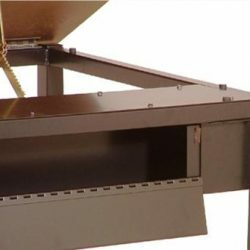 The steel sides work as the drawer guide, along with a sturdy 5/8" thermofused melamine drawer bottom. CFC procures the majority of their raw materials from the NC/SC/VA area. This includes: HPL, particleboard, melamine, RTF products, adhesive, hardware and machinery. CFC utilizes state of the art software to bring the customer's ideas to reality. We provide quick turnaround at an affordable price. 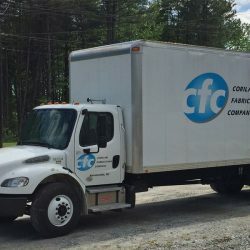 CFC has worked closely with dedicated furniture carriers to implement a complete packaging system to ensure the furniture reaches your facility on time and in mint condition. 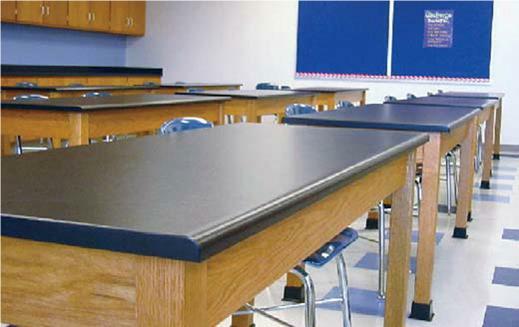 For over four decades, Corilam has been committed to the production of high quality laminate products. Using industry leading equipment, Corilam integrates the most modern software with our plant machinery and 65,000 square foot production facility to provide precision components down to the finest detail.